Hanukkah is an eight-day holiday observed in November or December, depending on the Hebrew lunar calendar. This year it begins on the evening of December 2nd. Often called the ‘festival of lights’, Hanukkah refers to the rededication of the Holy Temple after the Maccabees defeated their Greek-Syrian oppressors. When the Jews went to light the menorah, or candelabra, oil that should’ve lasted for one day burned for eight. 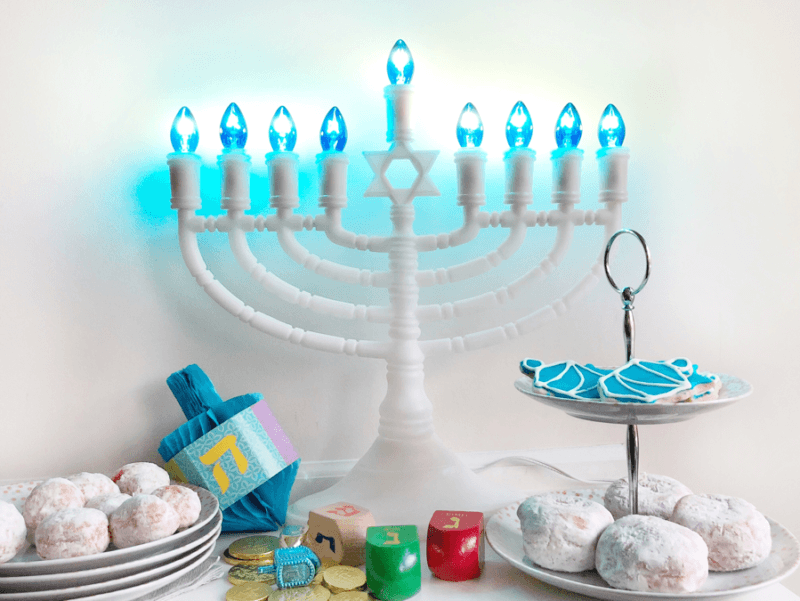 Hanukkah is celebrated in as many ways as there are family traditions, but almost all celebrations include lighting the menorah, playing dreidel, singing songs, opening gifts; and, eating latkes, gelt, and sufganiyot. 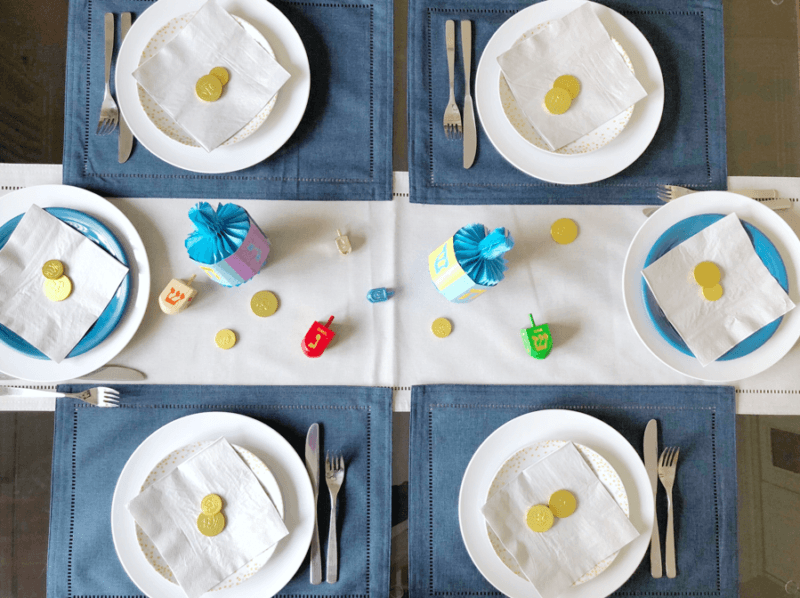 These navy placemats, as well as this light grey table runner, are from Kitchen Stuff Plus, and I chose them because I like the combination of the two colours, and the table runner can serve as two extra place settings. I also chose these confetti-patterned plates because of the elegant gold and silver polka dots and the neutrality of the colours. 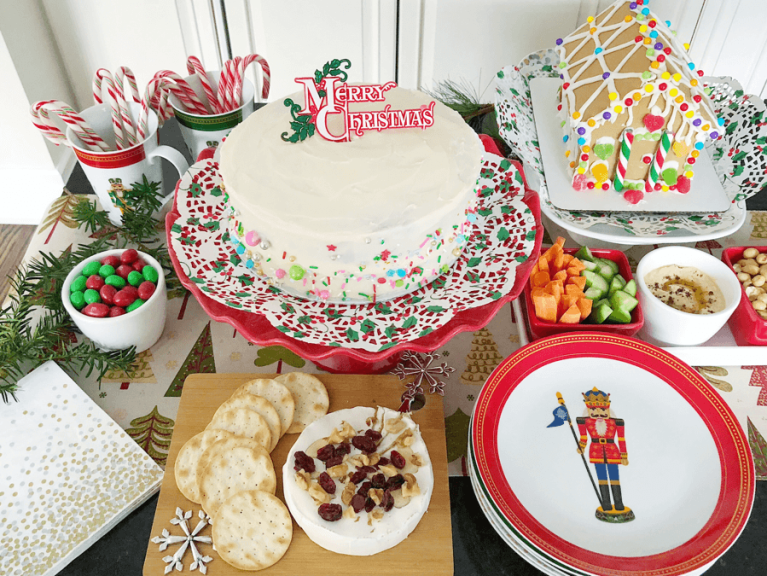 To make the table festive, I put the 8″ confetti plates on regular-sized white dinner plates and used silver paper napkins. 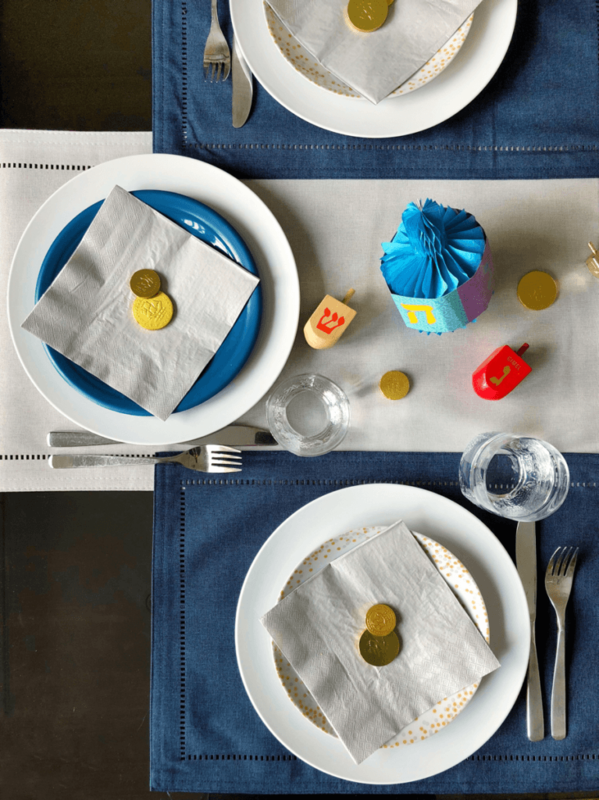 Dreidel is played by giving each player some chips, spinning the 4-sided top, and following the instructions that each player’s spin lands on. This continues until one player has all of the chips. Hanukkah gelt is chocolate wrapped in coloured foil. 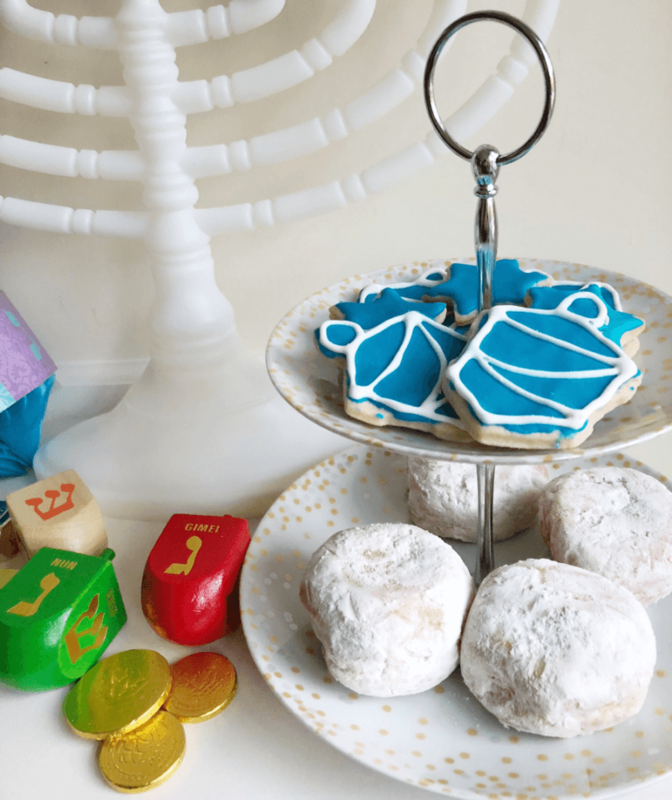 These traditional treats can be used to play dreidel and eaten afterwards. I used them as part of the table décor. 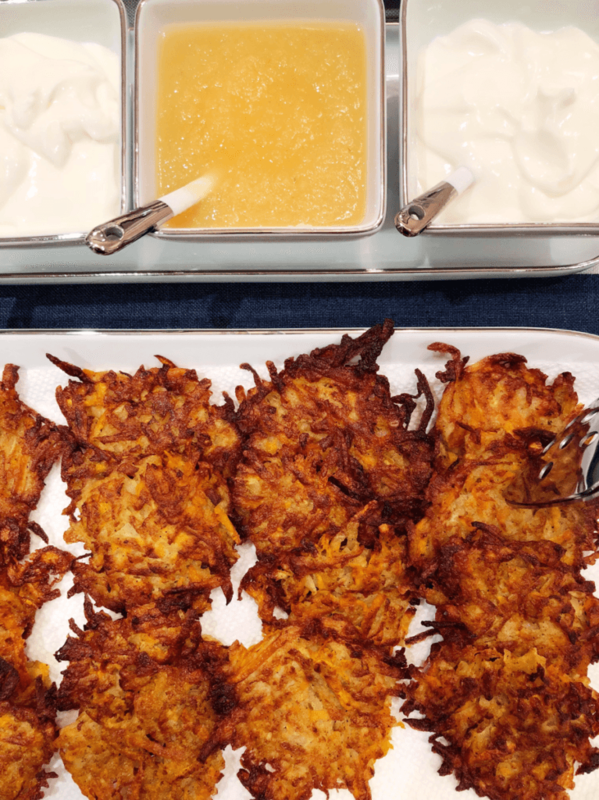 If you’ve ever had latkes, or potato pancakes, then you know that everyone is attracted to these yummy fried treats like a moth to a flame. Everyone stands around the pan, waiting for the hot latkes to finish frying! I usually serve bunless hamburgers or chicken burgers and a salad because people fill up on latkes. I picked up these two serving dishes, one with gold and silver dots to match the plates, and this plain white dish with a silver rim. 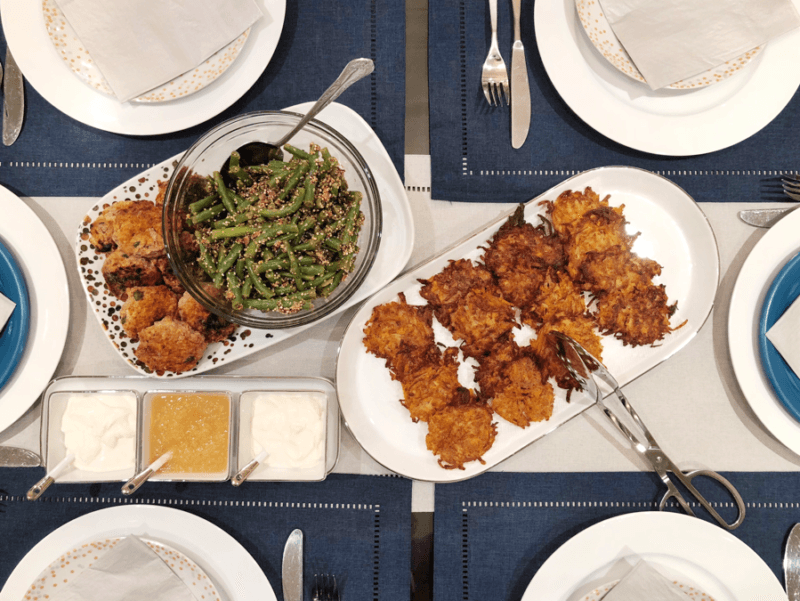 This silver-rimmed 4-piece serving platter elegantly holds the sour cream and applesauce latke toppings. 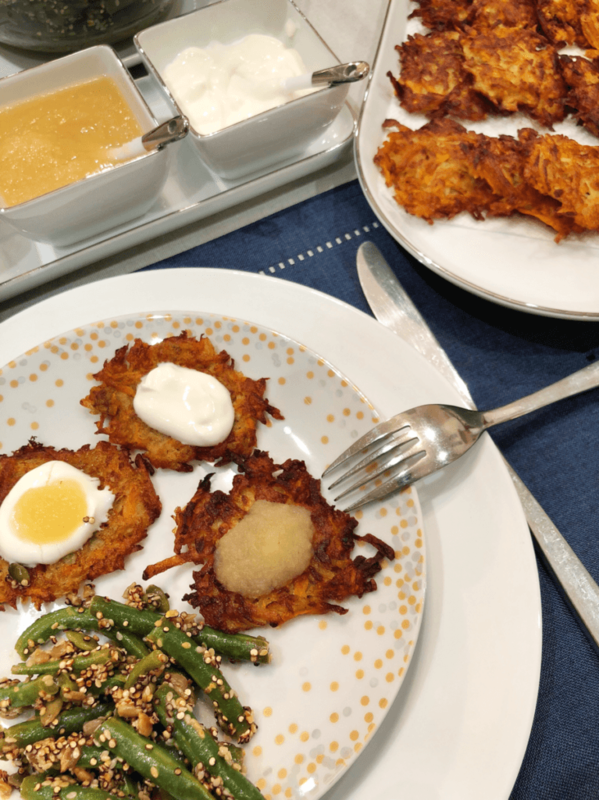 My latke recipe is at the end of this post, but feel free to purchase latkes. 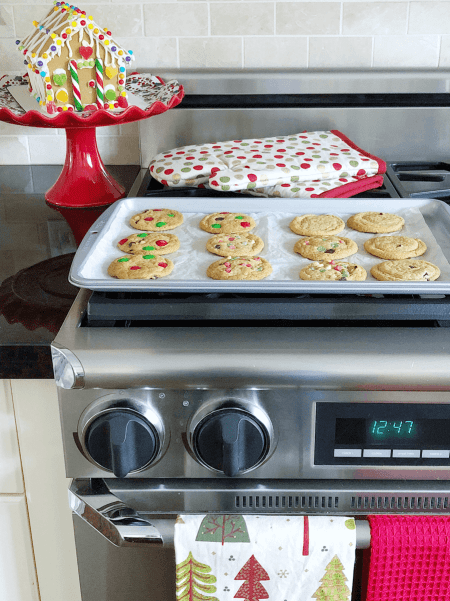 Making them is a lot of work, and your house will definitely stink for a few days! My family loves these latkes so much that they accept this fact. Sufganiyot are simply jelly doughnuts. 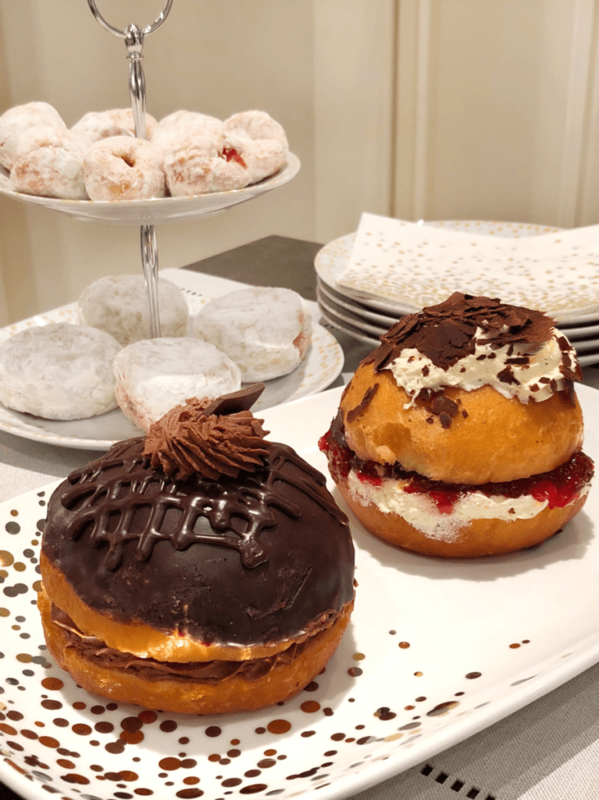 But, during Hanukkah, Jewish bakeries take pride in offering a selection of sufganiyot to their customers, like these chocolate and black forest ones. Eating foods fried in oil is a way of celebrating the oil in the temple that lasted for eight days. You can also buy regular jelly doughnuts. Note that I only placed a few on this two-tiered dish because people will be filling up on latkes and will have limited room for dessert! 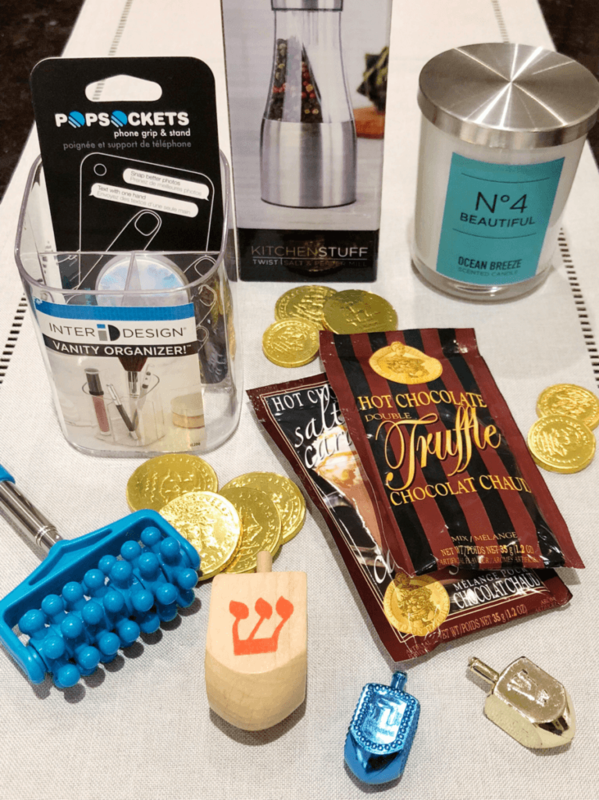 Gift-giving at Hanukkah is simple: a small gift for each of the eight nights. Each family has different traditions, like swapping the eight little gifts for one big one. 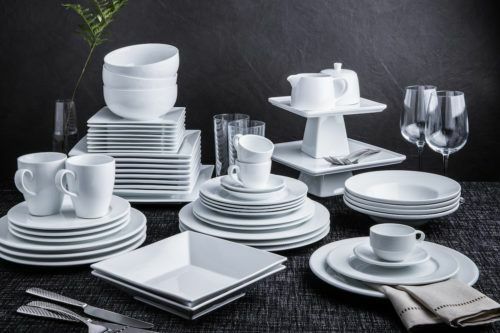 Small gifts are easy to shop for, and Kitchen Stuff Plus has many options. I chose hot chocolate packs, a salt & pepper shaker for my husband, a back-massager, a make-up container, a candle, and a pop-socket. These gifts are useful and fun to receive. As promised, here is my latke recipe below. 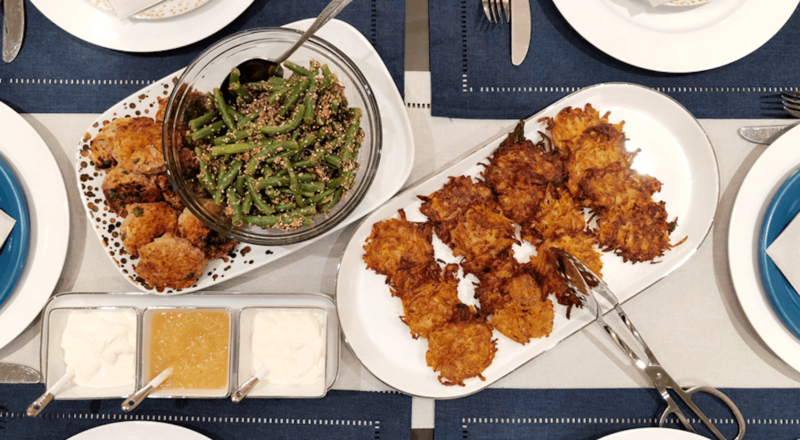 Did you know that latkes are quite the foodie item and can be found in many delis all-year round, as well as some of the world’s fanciest restaurants? 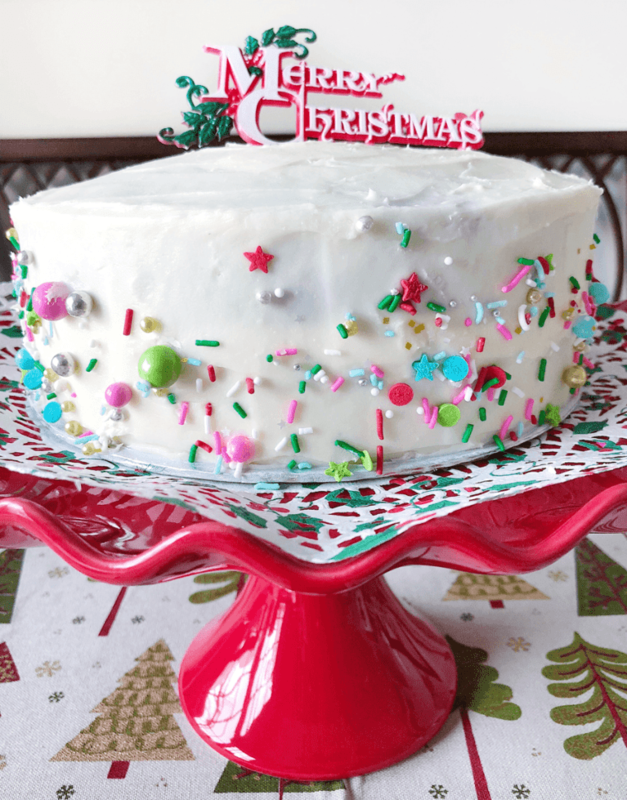 I hope you give this recipe a try – I know your family and friends will love it! Coarsely grate the regular and sweet potatoes. Place the potatoes in an old tea towel and squeeze out all the liquid you can. Do not rinse the potatoes. Place the potatoes in a large bowl and coarsely grate the carrot and onions on top. Add the dry ingredients and the egg. Mix well. Place 3-4 tablespoons of oil in a large non-stick pan and heat over medium-high heat. The oil just needs to cover the bottom of the pan; it does not need to be deep. Using a ¼ cup measure, place each latke carefully into the hot oil. Each pan should hold 3-4 latkes on average. Fry for 3-4 minutes a side, flipping when you can see that the latkes are getting golden brown. Keep moving the pan around and adding oil to ensure each latke is always frying in oil, to avoid burning and sticking. Fry in batches, adding oil in between. Be careful: the oil and pan get hot and the latkes splatter. Place between paper towels and serve with sour cream and applesauce! Are you ready for Hanukkah? 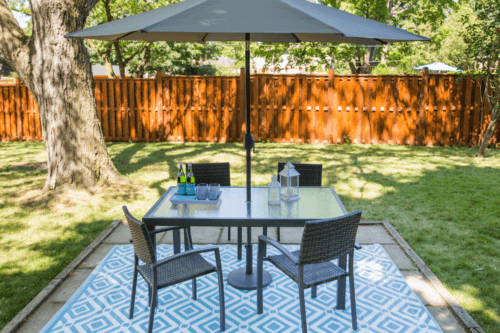 Check out everything new this season at Kitchen Stuff Plus! 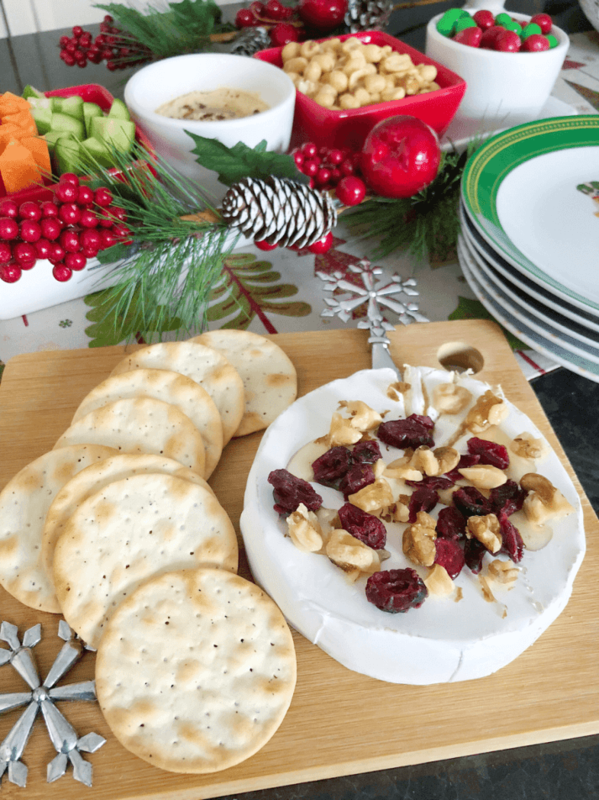 Find more holiday inspiration by checking out the must-haves you need for holiday hosting or great gift ideas for everyone on your list!